If you are looking for designer cakes in Omagh then come and see what the professionals here at The Encore Cake an Rroll can do for you. Whatever the occasion may be we can offer you the right cake at the right price. We pride ourselves on our quality and reliability, so to see what we can do for you please feel free to get in touch. Here at The Encore Cake an Rroll we specialise in wedding cakes, however we also offer celebratory and novelty cakes for anything from a birthday to an anniversary. 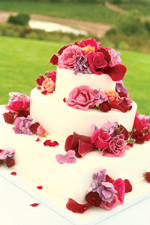 We cater to the general public and can tailor our cakes to meet your personal tastes and preferences. Whatever flavour, colour, number of tiers it is that you desire we can do it for you. We are open 9:30am-15:00pm Mondays and Tuesdays, and 9:30am-15:00 Thursdays to Saturdays, so why not pay us a visit and see what we can do for you? 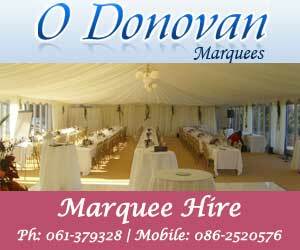 Established for 15 years we are based in Omagh and are the ideal choice for the local public. Over the years we have built up an outstanding reputation for ourselves due to our bespoke designs and outstanding prices, so if you are in search of a cake shop in County Tyrone make your first and only choice The Encore Cake an Rroll. To find out more about what we offer please feel free to get in touch. You can contact us on 0288 225 9766, via the "Contact Us" page, by visiting our Facebook page or by visiting our shop and browsing our selection for yourself. We can provide you with a cake for all occasions, so for a cake shop in Omagh look no further than The Encore Cake an Rroll!